On Monday, October 14th from 7 p.m. - 10 p.m. I want you to come to my house for an awesome evening for up to 20 event pros! 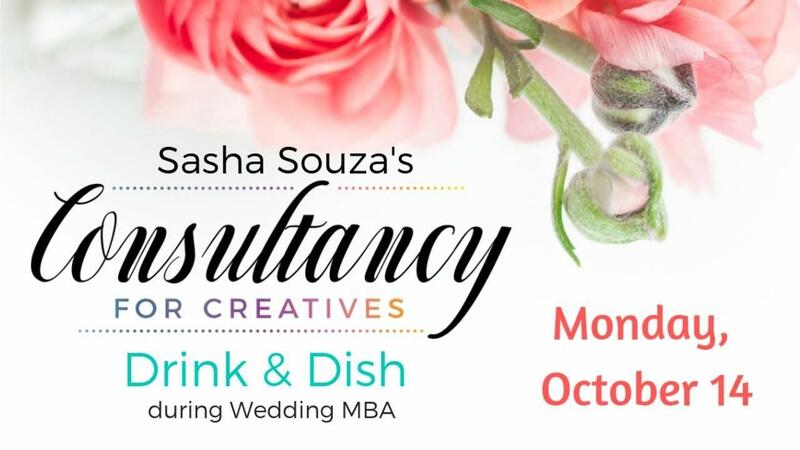 On Wednesday, October 14th from 7 p.m. - 10 p.m. Sasha will welcome you to into her "home" for a no holds barred convo about the wedding industry, how to get to the top, how to stay there and how to really find out who you are in your market.